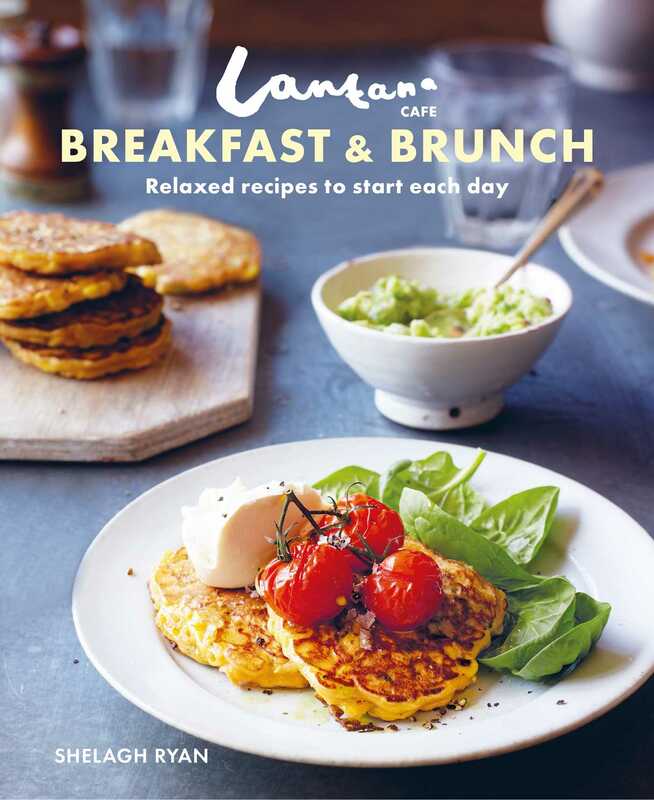 A collection of stylish and relaxed Australian café style breakfast and brunch dishes to cook and enjoy at home. Here you’ll find a stunning repertoire of healthy and delicious breakfast and brunch recipes to inspire you, whether you are looking for something quick to prepare on a busy week day or a relaxed way to entertain at the weekend. Featuring a host of appetizing recipes from nutritious bowls of cereal to hearty baked dishes, there is a recipe here to suit every taste. Fruit, Grains, & Oats features Bircher Muesli with French Berries and Honey-roast Figs with Orange Mascarpone and Toasted Almonds. Egg dishes include Baked Eggs with Chorizo, Mushrooms, and Lemon Crème Fraiche and Poached-Egg-topped Smoked Haddock Fish Cakes. Breads & Breakfast Bakes to try include Banana Bread, Raspberry and Apple Muffins, and Berry Friands. Satisfying hot Brunch Plates include Sautéed Mixed Mushrooms with Lemon Herbed Feta On Sourdough and Corn Fritters With Roast Tomatoes and Smashed Avocados. Homemade Preserves such as chutneys and jellies elevate toast to new heights and finally ideas for delicious Drinks from Pour Over Coffee to Best-ever Bloody Mary with Pickled Celery add the finishing touch. Shelagh Ryan grew up in Brisbane, Australia in a family who loved to cook and eat. Shelagh experienced a cooking epiphany when she moved to foodie Melbourne. This inspired her to quit her job and move to London, where she set up Lantana Café in 2008 – London’s first truly Australian café. It has won several accolades, including TimeOut’s 2010 ‘Best Café’. Shelagh also writes the popular blog, Scrambling Eggs: scramblingeggs.blogspot.co.uk. Café Kitchen is her first book.